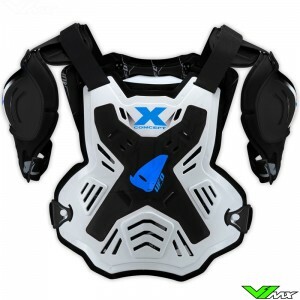 V1mx has a wide range of UFO Body armour available for motocross and enduro riders. Check out the current range below. UFO has over 40 years of experience in producing high quality products for the offroad market. Many of their products are produced in their own factory in Italy. 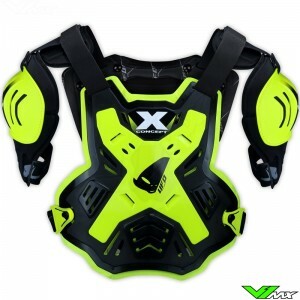 Besides body armour UFO also produces many dirt bike parts, motocross helmets, pants, jerseys and a lot more motocross gear. 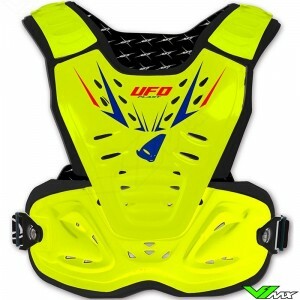 The most popular body armour from UFO is the so-called Reactor. The Reactor is a compact roost deflector with a hinge point for high levels of safety and flexibility. 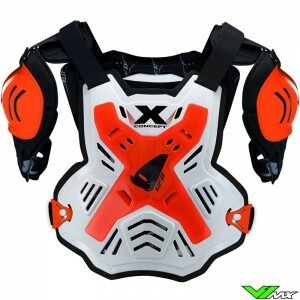 It is also available in a wide range of colors and you can even buy extra shoulder protection which can be attached to the armour. 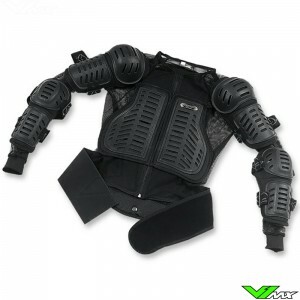 The Italian company also produces protection jackets and body armour with build-in shoulder and back protection. 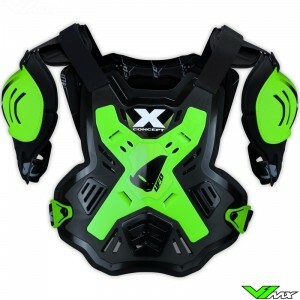 Do you want to buy new UFO body armour, but still have a question? Feel free to contact the V1mx customer service, we would be happy to help you.